Airbrush makeup: process whereby trained professionals spray makeup onto the face, using an airbrush. This technique can be used as a thin layer of foundation for skin which is already in good condition or as a textured finish on skin which already has a foundation base applied. 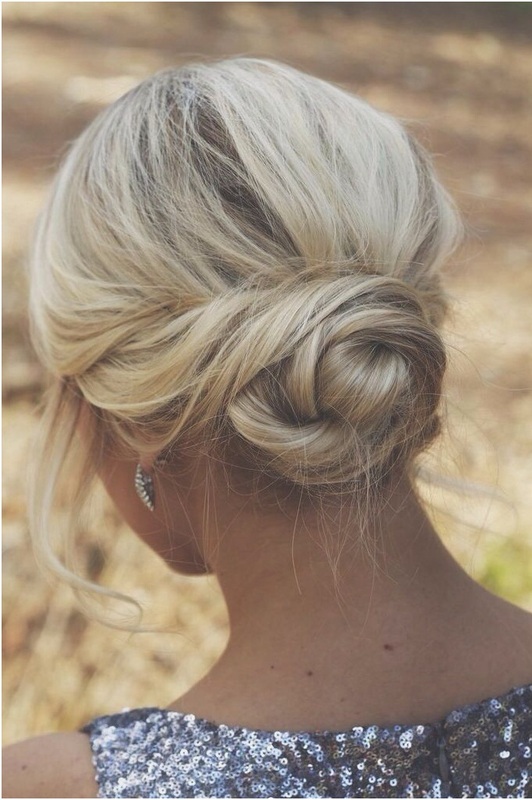 Ballerina bun: a hairstyle best suited to ladies with long hair. This style features a bun set high on the crown of the head and looks very stylish with the addition of a tiara. Brazilian blowout: a keratin-based hair smoothing treatment, designed to eliminate frizz and straighten hair for up to three months. Bronzer: a makeup powder which can be applied to the face and neck to give the appearance of a tan. Spray tan is sometimes also referred to as bronzer. Chignon: a low up-do hairstyle, similar to a bun, which sits low on the head, either at the nape or to one side. Eyelash extensions: synthetic hairs which are glued to individual lashes in a salon to increase eyelash length and volume. Eyelash extensions usually remain intact for four to eight weeks as opposed to false lashes which need to be applied every day. Finger wave: not to be confused with a cute little index finger greeting to your groom as you walk down the aisle, the finger wave is a classic hairstyle inspired by the 1920’s. This chic hairstyle involves tight wave-like curls at the front and side of the head, which form ‘S’ shapes. Foundation primer: a base product which is applied to the face before applying other makeup, such as foundation. Foundation primer causes makeup to last longer, which means few or no touch-ups are necessary on your big day. Gel nails: a type of artificial fingernails, giving the appearance of longer, stronger, smoother nails. Gel nails are applied in an odourless procedure, performed by a nail technician. Microdermabrasion: a powerful exfoliation treatment performed in a day spa. Microdermabrasion removes dead skills cells, tightens pores and reduces blemishes. Mineral makeup: makeup products that do not contain parabens, preservatives and other chemicals, which commonly cause allergic reactions. Teeth whitening: a procedure of bleaching teeth to remove stains, resulting in sparkly white teeth. Teeth whitening procedures can be performed at the dentist or at home using special home-kits. Whitening procedures performed by dentists are usually more powerful whereas home-kits often require multiple applications with milder results. Nice content.i am very happy to found such a great site.Even though we have an online matrimonial portal ( Big Matrimony) which offers free services.